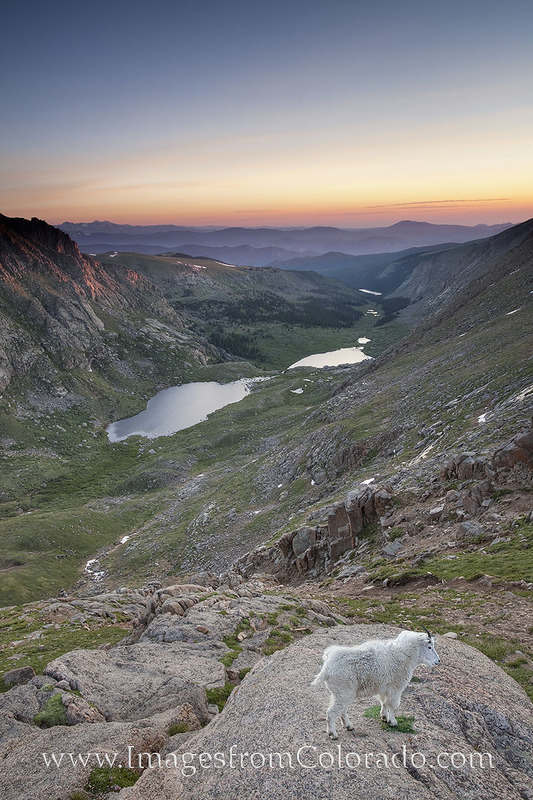 From 14,264’ above sea level, this is sunrise from Colorado’s Mount Evans. I had a friend meet me here this morning - this curious mountain goat. As I tried to take his portait with mountains in the distance, he was more intent on investigating the contents of my backpack! Photo © copyright by Rob Greebon.